Obituary for Fyrmlee (Pike) Cannon | King-Tears Mortuary, Inc.
Fyrmlee Pike was born on December 7, 1921 in Jones Ridge, Arkansas to Curtis and Savannah Pike. Fyrmlee was the first born of eleven children. All preceded her in death. Raised in rural Arkansas during the Great Depression, Fyrmlee was no stranger to hard times. She attended grade school in Turner, Arkansas and later went to school in Holly Grove, Arkansas. Fyrmlee confessed her love of God and accepted Jesus Christ at an early age at Branch Baptist Church in Jones Ridge, Arkansas. In 1941, she married Jake Cannon and to this union fifteen children were born. Along with her husband, she was preceded in death by her children; Delois, Norma Jean and Clyde and one grandchild Velma Scaife. 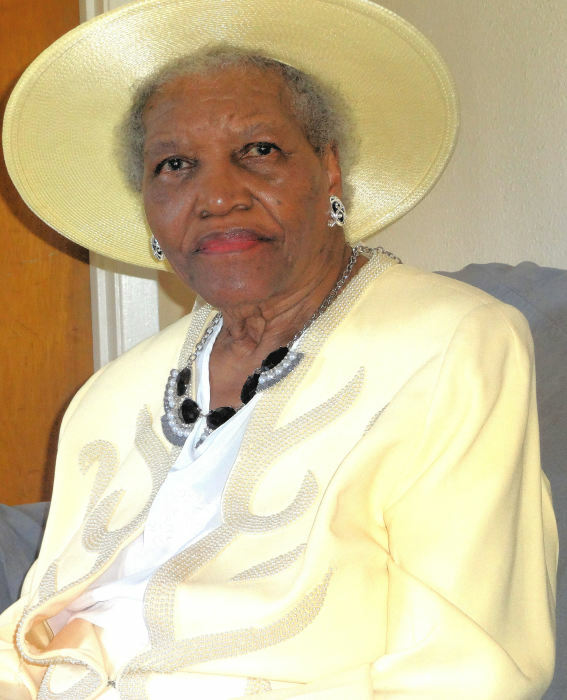 She was a faithful member of Emmanuel Baptist Church for many years. Since 1989 she has been a faithful active member of Rosewood Baptist Church. Where she served as a member of Mission I and was active in the Sunday school. She was active at the Conley-Guerrero Senior Activity Center where she received several certificates of appreciation for her volunteer work and participation. Fyrmlee loved to travel. In 2012, she made her first solo airplane trip to Minnesota at the age of 90. When she was complemented at the age of 95 for traveling solo to Virginia to be with her oldest daughter, Doris on the passing of her daughter Velma, Fyrmlee replied, “I didn’t do anything but ride, someone else did the work." One of her many joys was the rearing of her grandson, Rodrick. Fyrmlee leaves to cherish her memory of twelve children; Doris Scaife, Estella Cannon, Thomas Cannon (Jessie), Gloria Lloyd, James Cannon, Jerrie Billingsley, Shirley Cannon, Roy Cannon, Calvin Cannon, Amanda Cannon, Brenda Cannon and Rory Dalvin Cannon. Doris and Gloria live in Hampton, VA and Brenda lives in Covina, CA.